November’s Featured Presentation and A Brand New Series Too! And, we want to also take this opportunity to also introduce a brand new series we now have in our presentation library as well. 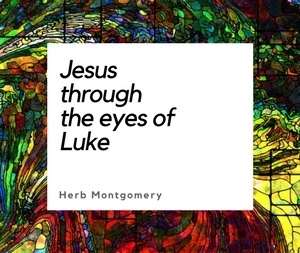 The greatest paradigm-challenging picture of the character of God ever given to mortals is found within the story of the murder and resurrection of Jesus in the first century. To many, this event is the heart and soul of their Christianity. But if this story is misunderstood, it ceases to be a gift in the hands of God to illuminate our hearts with who He is, who we are, and way of life, and becomes instead a tool in the hands of an enemy to enslave our hearts, darken our understandings of God, and keep us fixed on a path that ends in death. The story of the cross is not the story of sinners in the hands of an angry God, but rather of a God in the hands of angry sinners. If you’ve heard the story of the cross too many times to count and yet still feel as if something is missing; if you’d like to experience this story in a revolutionary new way, both intellectually as well as deeply within your heart, than this three part series is for you. Come experience anew the first-century story of the murder and resurrection of a God told from within the paradigm of the early Jesus revolution of nonviolence and enemy-love.